This book provides all the information needed to install, support, tune, and upgrade Oracle databases on the UNIX and Linux platforms. 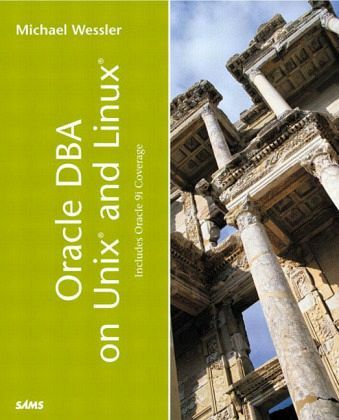 First book to really address Oracle Database Administration on the UNIX and Linux platforms. This focus on UNIX and Linux is critical. It goes beyond the regular DBA book by providing real world examples and practical knowledge on critical DBA tasks such as migrations, upgrades/patches, and troubleshooting. Other books take the easy way out by simply describing Oracle in a vacuum. Shows how Oracle is actually deployed on UNIX and how the DBA needs to support it. It also details the latest advanced Internet features of Oracle, which other books seldom even mention. Maintain a robust, mission-critical Oracle8i database. This book provides administrative solutions for the day-to-day DBA. You'll learn how to install the database for maximum efficiency, upgrades, patches, migrations, tune, and maintain its security. The book also explains in detail how to build and support a fully functioning Oracle database. This authoritative text contains up-to-date information available on Oracle's latest release and shows you how to: configure database architecture; install and set up with UNIX requirements; create the actual database with scripts; GUI management products; use Backup and Recovery; tune, monitor, and troubleshoot servers; Web DB and the Oracle Portal, 8i, iFS, Java, and 9I coverage; and iAS--Internet Application Server. Michael Wessler received his B.S. in Computer Technology from Purdue University in West Lafayette, Indiana. Michael is an Oracle Certified Professional (OCP) for Oracle 8 and Oracle 8i Database Administration. Currently he is an Oracle consultant working at the Department of Defense. Michael has administered Oracle Databases on Sun Solaris (including Oracle Parallel Server on a Sun Cluster), HP, Linux, and Windows NT. He has also administered databases for a true Internet Web startup. He has worked in advanced computing environments such as UNIX Clusters running Oracle Parallel Server (OPS). Michael is co-author of Oracle Unleashed, Second Edition, UNIX Primer Plus, Third Edition, and Cobol Unleashed.